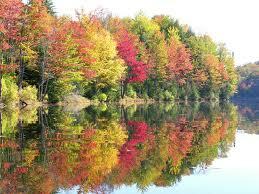 The Vermont real estate market was productive this October. A beautiful foliage complimented the already picturesque Vermont homes and although we are moving into a slower season, sales were still up 5.32% from September; the market is still very active! Take advantage of this time of year, listings have reduced by 12% since September. We'd like to welcome all the new Vermonters to the area, and for those of you interested in moving to the area feel free to CLICK HERE for a list of our current listings. November is sure to be outstanding!